Anxiety is a mental health disorder that can have a severely debilitating impact on someone’s daily life. Although it is less visible than many physical disabilities, it can create just as much or even more turmoil in a person’s life. It’s relatively common for most people to feel anxious occasionally at certain stages of their life. In fact, almost everyone will feel anxious or worried at some point. Perhaps there’s an important test coming up, or your about to start a new job and you’re not sure how you’ll manage. Scientists have pointed out that there are reasons for this in our evolution, since the experiencing of fear and anxiety was critical to our survival by helping us to avoid danger in the past. Even today, fear can be a positive emotion that assists us to identify threats. But anxiety as a mental health disorder is something different. The feeling of being distressed or nervous is more persistent and is also impossible to shake off. In some cases, the fear or worry will build up over time and get worse. The prevalence of anxiety across the country may well take you by surprise. It has been estimated that the impact of anxiety, which is the most common mental illness in the country, costs the US economy $42 billion per year. According to the Anxiety and Depression Association of America, a total of 44 million American adults suffer from anxiety. Only a third of those with anxiety disorders receive treatment, pointing to the need for more awareness-raising about the nature of anxiety disorders so that they can be identified and treated. The number of teenagers with anxiety who do not get treatment is even higher. On average, only one in five anxiety sufferers in this age group get support from a medical professional. Women are twice as likely as men to suffer from an anxiety disorder. Research also indicates that women with anxiety experience more severe symptoms than men. This is a question that medical professionals and researchers in the field are still trying to answer. A number of factors that can contribute to the development of an anxiety disorder have been identified, but more work is required to explore precisely how heavily they influence the emergence of a disorder. The causes can be broken down into Genetic factors, environmental issues, and life experiences. 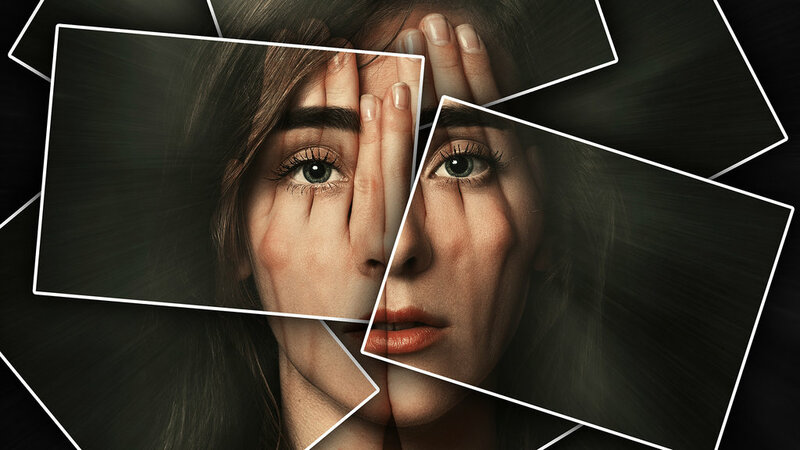 Some studies suggest that anxiety disorders can be passed down through generations at a higher rate, with heritability for anxiety disorders ranging from 30 percent to 67 percent. That being said, research has shown that genes can also provide a resilience against anxiety in some cases. The environment within which someone lives can be linked to anxiety. Parents who exert excessive control over their children can increase the likelihood of the development of anxiety, research has found. This is also true of parents who reject their children. Life events may also play a major role. Traumatic experiences in childhood, such as separation from parents, or sexual, physical, or emotional abuse, are linked to the development of anxiety disorders. The same goes for someone who survives a severe illness, or who has a close friend or relative with a medical condition. An additional source of anxiety can be drug abuse. Strong feelings of anxiety frequently occur as a withdrawal symptom when a person seeks to put an end to their addiction. Disorders may also be connected with the use of certain types of medication. What Are Some Forms Of Anxiety? Each category contains several disorders with a wide range of behaviors and symptoms. Anxiety often presents itself in conjunction with related mental health conditions, some of which have different symptoms. However, a patient suffering from anxiety generally experiences a feeling of fear or worry about a situation. Typical examples are fear of being in crowds, worrying about something so much that you cannot leave the house, or a fear of a past traumatic event. The nervousness or fear is excessive and has a negative impact on an individual’s ability to function. A frequent consequence of an anxiety disorder is the occurrence of panic attacks. Panic attacks are characterized by a sudden rush of fear that can be accompanied by physical and cognitive symptoms. These can include heart palpitations, dizziness, sweating, trembling, shortness of breath, nausea, chest pains, a fear of dying, or a fear of losing control. Panic attacks usually reach their worst stage within a period of a few minutes. They are a common feature of all anxiety disorders, but are not to be confused with panic disorder, which is a specific medical condition. Anxiety can occur among children, adolescents and adults. Certain anxiety disorders are more common among particular age groups. For example, separation anxiety, an excessive fear of being separated from home or an important figure in your life, is more prevalent among childhood cases of anxiety than among adults. Determining when a fear or worry is normal and when it becomes an anxiety disorder is no easy task. That’s why it’s critical that you obtain a diagnosis from a licensed medical professional, who you can trust to provide you with a reliable assessment of your condition. Here are several of the most common types of anxiety disorder with a brief explanation of their symptoms. Please remember that this is for informational purposes only and that a firm diagnosis can only be carried out by a trained medical professional. Selective mutism: This disorder occurs when a person persistently fails to speak in a social situation, whether that be at work, in an academic setting, or with friends. However, under other conditions, the person is capable of speaking normally. For a diagnosis of selective mutism, the mutism must have resulted in an impairment in workplace, social or academic achievements. In addition, the mutism must have lasted more than one month and not be confined to the first month of a child’s attendance at school. Panic disorder: This is diagnosed if a person suffers from unpredictable panic attacks, and continues to fear having another panic attack for a long period of time (one month) afterwards. Disorders in this group are linked to obsessive thoughts that force their way into someone’s thinking. They trigger compulsive behaviors that can have a detrimental impact on an individual’s ability to participate in daily life. For example, a person might find it difficult to leave their home without performing a compulsive activity several times, or could repeatedly wash their hands because they worry about staying clean. You should bear in mind that someone who has one or two unusual behavioral traits is not considered to have an obsessive compulsive disorder. The behaviors they exhibit must be compulsive and linked to sustained bouts of worrying and/or fear. Below are some of the most common types of obsessive compulsive disorders, and a brief description of each one. Obsessive Compulsive Disorder (OCD): an individual with OCD will experience obsessive thoughts that often cause distress or discomfort. One typical example of this is the idea that a series of activities must be carried out in a particular order or in a certain way so as to avoid harm to the individual or other people. Symptoms of OCD can include spending more than an hour a day performing the compulsive activity, becoming distressed due to the compulsive thoughts, or being prevented from going to work or participating in social activities due to the obsessions. Hoarding disorder: This describes a condition where someone always wants to get hold of new items, whether or not they are useful or valuable. It can result in living spaces becoming cluttered and difficult to use. The sufferer will find it extremely difficult to give up personal possessions or other items, and may also become distressed or anxious if they cannot acquire new items on a regular basis. Excoriation: This is a condition where the individual persistently picks at their skin, producing lesions. A diagnosis may be made if the person has made numerous attemptsto reduce the skin picking behavior, and if it has hampered them from pursuing their professional career or attending social events. Trichotillomania: When someone consistently pulls out their own hair, frequently from the scalp, eyebrows or eyelashes. As with excoriation, it could be diagnosed by a medical professional if the individual has sought on many occasions to stop the behavior. Events like a serious car accident, the death of a relative or the experience of abuse can produce trauma. In some cases, this can develop into a disorder characterized by anxiety and other symptoms. Below are some of the most common types of trauma-related disorder. Post-Traumatic Stress Disorder (PTSD): Everyone feels sad at the death of a loved one or shaken after surviving a car crash. That does not mean they have PTSD. A diagnosis will only be made if the symptoms have persisted for longer than a month and have significantly impeded the individual’s participation in professional or social activities. PTSD symptoms can express themselves in very different ways, once again underscoring the importance of consulting a trained medical professional to make a reliable diagnosis. One of the symptoms of PTSD is re-experiencing, when someone with PTSD relives the traumatic event either through dreams, involuntary memories, psychological distress brought on by cues in their environment, or episodes like flashbacks. Other symptoms include avoidance, where someone endeavors to avoid memories or cues of the trauma, negative cognitions and mood, including negative emotions or thoughts, and hyperarousal. This latter symptom can find expression in irritable behavior, excessively startled responses to incidents, or self-destructive behavior. Adjustment Disorder: When someone exhibits emotional or behavioral symptoms linked to a stressful episode, such as moving house, losing their job or a divorce, they may have Adjustment Disorder. The symptoms must be clinically significant and be associated to a stressful event, also known as a stressor. Acute Stress Disorder: This disorder emerges following a traumatic event and the symptoms last from between three days to one month. As in the case of PTSD, symptoms can vary considerably, but one feature of the disorder will generally be extreme anxiety in relation to reliving or re-experiencing the traumatic event. This can take place through dreams, negative thoughts, repetitive and distressing memories, or flashbacks in which the individual feels as though they are going through the event again. Anxiety can have a debilitating impact on a person’s health in many ways. The likelihood that you will suffer from a cardiovascular disorder, such as heart disease, diabetes and obesity, increases if you have anxiety. The presence of more than one medical condition, such as heart disease and an anxiety disorder, is referred to as co-morbidity. Another area where problems can arise is with the immune system. The human body has evolved to deal with a concrete danger by activating stress hormones, which change how our body responds to an event. Energy is used for higher levels of adrenalin and a faster heart rate, allowing us to respond swiftly to the threat. Other bodily functions, such as the immune system, are neglected because healing can wait until the danger has passed. However, a person who has heightened levels of anxiety all the time runs the risk of suffering a more permanent weakening of their immune system. This increases the possibility that they will contract other illnesses which could normally be fought off. It may also mean that recovery from an illness requires a longer period of time.